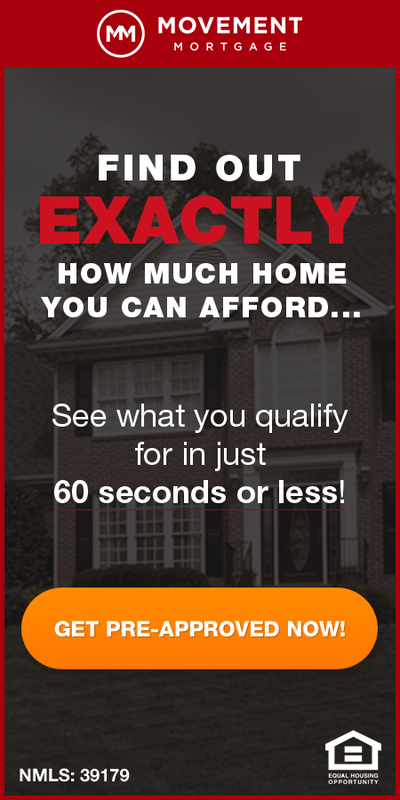 Over half (51%) of the foreclosures in St Louis are “Zombies” meaning that the owners have abandoned or vacated their home prior to their lender completing the foreclosure process, according to a report released this morning by RealtyTrac. 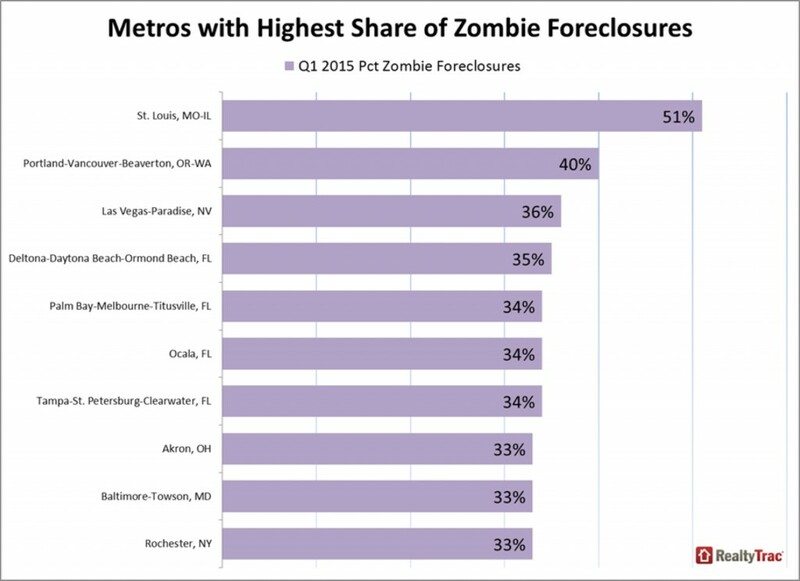 Just like the number of St Louis foreclosures is down significantly from a year ago, the actual number of Zombie foreclosures has declined 59% from a year ago. 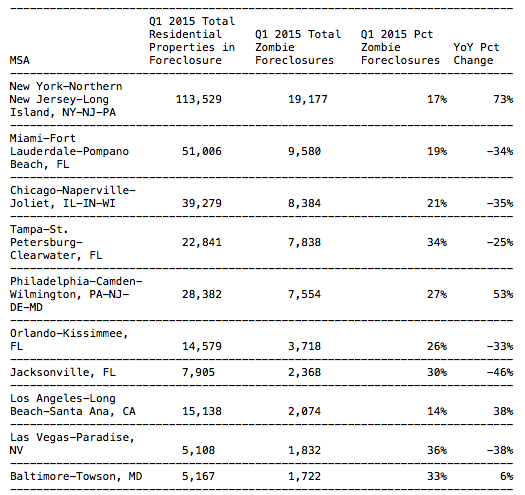 The chart below shows zombie foreclosure data for the 10 metro areas in the U.S. with the highest percentage of Zombie foreclosures. 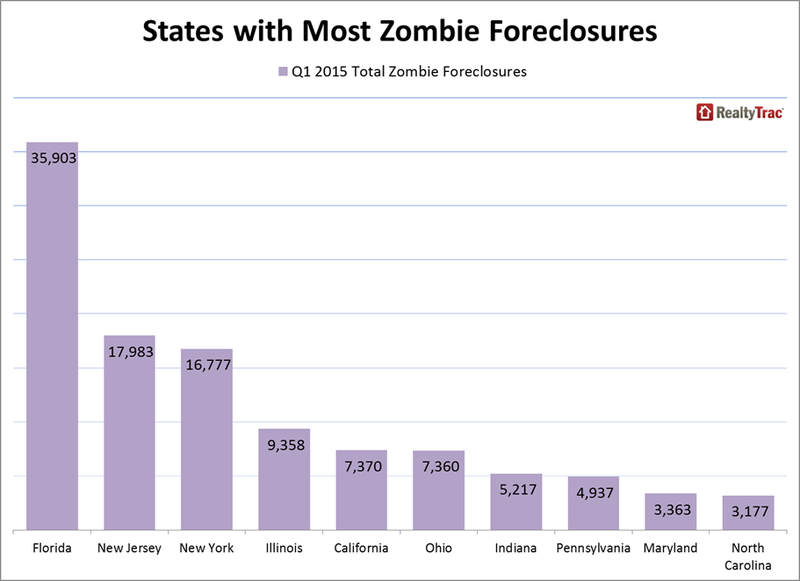 Beneath that is a table showing the 10 metro in the U.S. with the most number of Zombie foreclosures which shows New York leads the nation with over 19,000 zombie foreclosures as well as a chart showing the States with the highest number of Zombies.